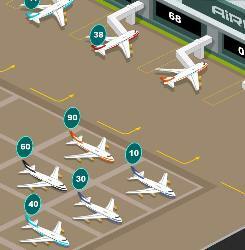 Manage a busy airport by taking the planes to the gates to refill and then out to the runway to take off. Each flight needs a certain amount of fuel, make sure each plane gets enough fuel before it takes off. 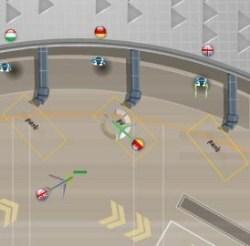 Planes must get all their fuel from one gate. 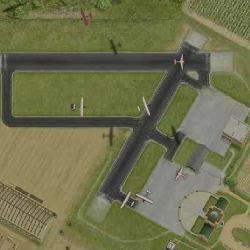 Use the MOUSE and LEFT MOUSE BUTTON to move the planes to the gates and to the runway. Press P to pause and M to mute the sound. 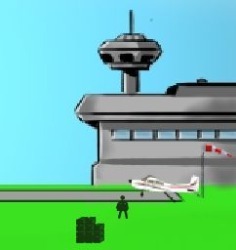 Click here to send Rush Airport to your friends using your default email program.